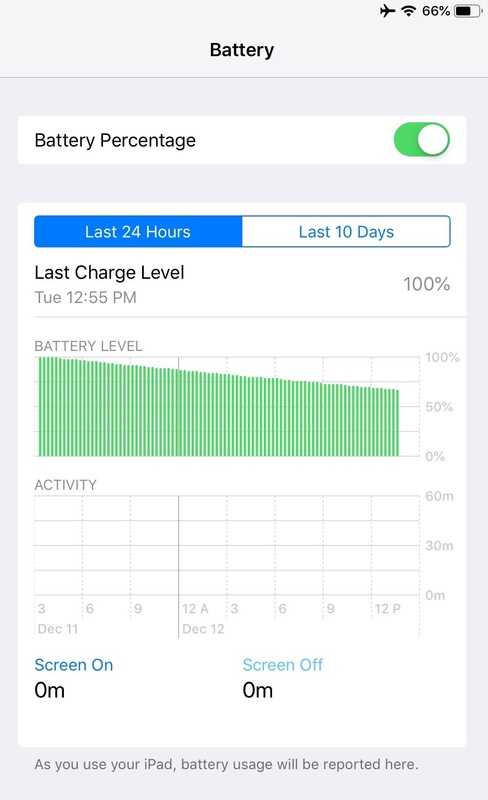 My battery life on iOS 12.1.1 seems to have taken a hit. I’m at 66% after 24 hours with no activity on the device, including background refresh, push, and fetch all turned off. Location services only activated for Find my iPad. What gives? And I did put the device in DFU mode, installed iOS 12, and set up iPad as new. If you just installed, there was plenty of activity on the iPad. Siri runs a background process to index everything that it is told to search. Generally this settles down after about a day, maybe two. I just set up my old iPhone 6s from a backup the other day. On the first day after, the battery was at 20% or so by 8 pm after taking it off power at about 6 am, and I never even looked at it until then. The next day it was at 75% at the same time. Installed 12.1.1 when it first came out that was over a week ago. Does it take that long for Siri to do her thing?